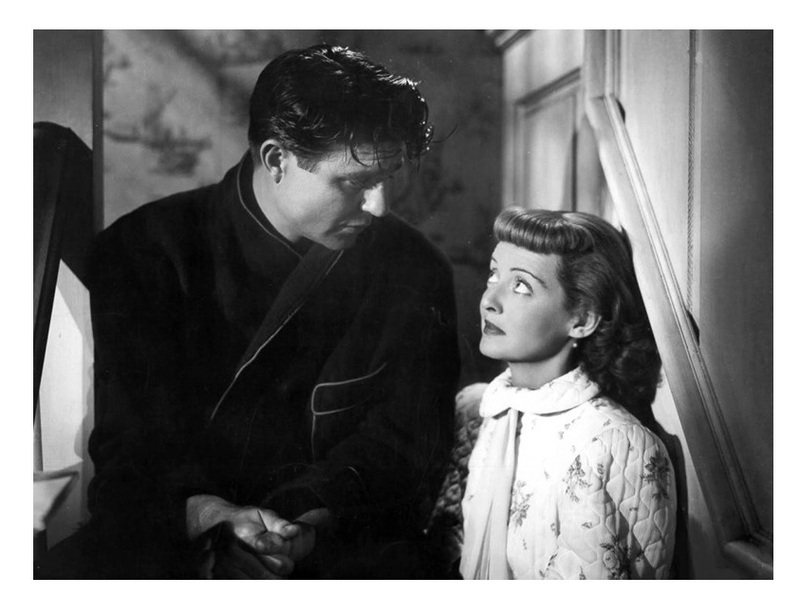 A New England poetess, Susan Grieve (Bette Davis), falls in love with a troubled war hero, Slick Novak (Jim Davis, Comes a Horseman), only to discover that he is contemplating a life as a Catholic priest. Winter Meeting, written by Catherine Turney (My Reputation and A Stolen Life), directed by Bretaigne Windust (June Bride), is a serene, but ultimately flaccid story without much depth and feeling. The film has all the professionalism one expects from a “Class-A movie,” yet something went badly amiss here. 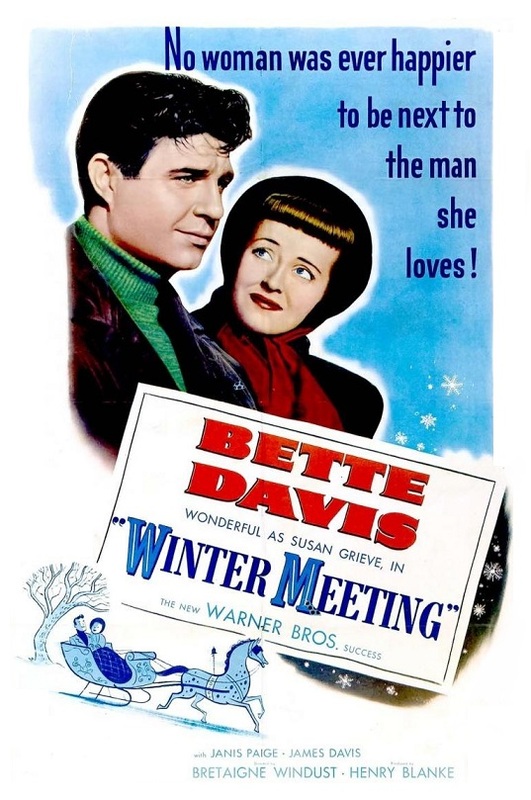 Winter Meeting has the dubious distinction of being the film that finally knocked Bette Davis off her pedestal as America’s foremost dramatic actor and box-office juggernaut. It’s also the movie that marked the beginning of the end of Bette’s long-term contract with Warners. After returning from maternity leave, Bette was persuaded to star in this adaptation of Grace Zaring Stone’s (aka Ethel Vance) best-selling novel. This, she soon found out, turned out to be a huge mistake for a variety of reasons. I haven’t read Stone’s book so I’m just reacting to the film. I found the central premise interesting, but ultimately uncinematic. The movie’s main dilemma is the differences between Protestantism and Catholicism. It’s just hard to make a movie about something as esoteric as theology. And unless you are familiar with both religions, you will quickly become confused. I’m sure censorship didn’t help things either. Davis later said, “I should have stopped the picture in the middle … and gone to Jack Warner and asked him to shelve it.” I understand her reaction. It’s hard for me to express the level of frustration I experienced while watching the movie. Every time a scene is on the verge of greatness, things are interrupted abruptly and you are left with muddled conversations that lead nowhere. Another huge problem is Jim Davis (no relation). He’s simply not up the challenges of the part. A better actor could have elevated the weak script (Jim got the role only after the studio couldn’t get Burt Lancaster or Richard Widmark). The actor also has zero chemistry with his co-star. 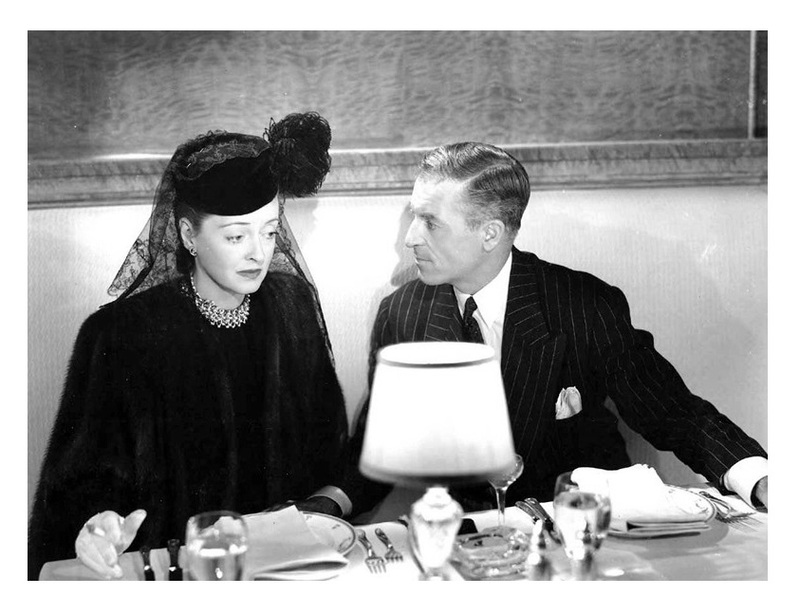 Bette blamed it all on director Windust’s inexperience with the film medium — this is his very first movie. I don’t know, I’ve always thought Jim was mostly an average actor. Bette is actually good as the sexually repressed spinster. Bette, who grew up in Massachusetts in a Puritan atmosphere, probably understood the character’s main problems. It’s really a pity that the script is not there to support a rather intelligent characterization. Bette’s meticulous performance is the film’s main grace. She looks rather thin and Ernest Haller’s (Jezebel and Dark Victory) cinematography is not complementary — Hollywood loves clichéd spinsters! Although a bit slow and confused, Winter Meeting is not terrible. It’s just not a very good movie. Davis is excellent, though. The supporting cast is good too: John Hoyt (When Worlds Collide) has some good scenes as Bette’s confidant. Hoyt plays an obvious gay man, a rather bold characterization for 1940s Hollywood. 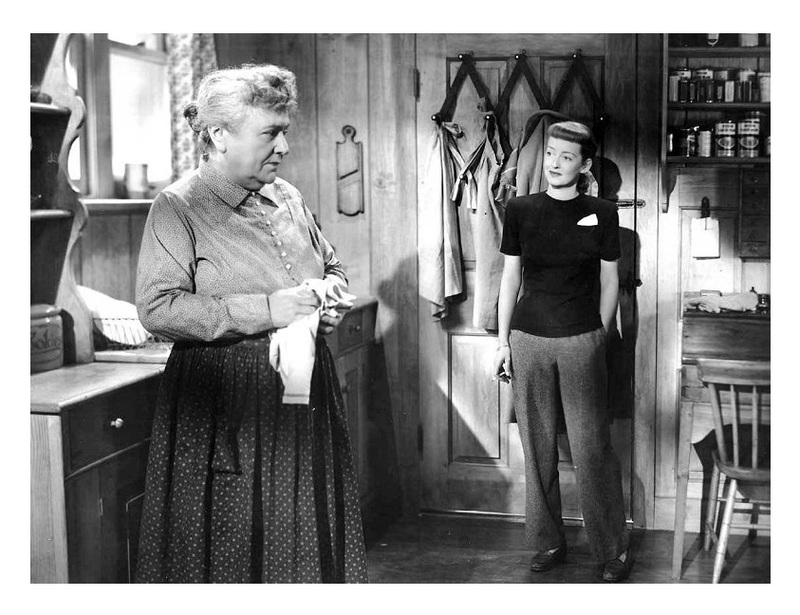 Also co-starring Janis Paige (Romance on the High Seas) as Hoyt’s secretary, and Florence Bates (Rebecca) as Bette’s housekeeper, Mrs. Castle. It’s, of course, recommended to Bette’s completists. B&W, 111 minutes, Not rated. Not terrible. Hmm. There’s so many others that are great that I have yet to see! I’ll have to put this one on the back burner for now. Nicely written review, Eric.